Offering you a complete choice of products which include electric air heater and electric heaters. 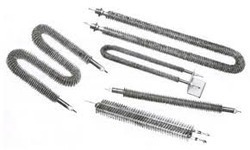 Our extensive industrial experience makes us able to offer a collection of Air & Immersion Tubular Heaters to our clients. The chromenickelsteel with diameter of 10.70 millimeter, 8.00 millimeter and 6.80 millimeter are used for manufacturing these products. 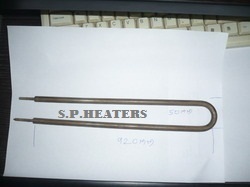 Tubular Heaters offered by us are brought into application in Hot Runner Manifolds. Furthermore, these heaters are praised for its sealedends which help to prevent moisture and dust. Looking for Electrical heaters ?